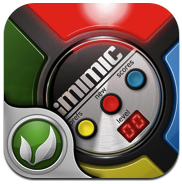 iMimic 1.0 is finally on the App Store! After working during several months on this project, last week we submitted iMimic to Apple’s approval process. All the hurry gave place to a quiet state of suspension and anxiety – on both sides of the Atlantic (Fernando is on USA and I am in Spain). Talking to some friends we discovered this happens to all developers, even experienced ones. Since it is our first app, you can imagine the great sense of relief and accomplishment we felt when we received the email of “availability on the Apple Store”! It didn’t pass 24 hours yet… and this new phase put us again in the hurry state: not only to share the “great news” to our friends and family, but to deal with the first responsibilities a recently published app brings: no matter how hard you try to launch a bug-free app, the huge base of real users reveals new issues you didn’t expect. In our case, up to the moment we received crash reports indicating a bug when iMimic runs on iPad, only in iOS 3.2 – Fernando is very fast on this matter and an update is on the way. We thank our friends for all the messages of support and incentive. Our little study-project is finally out. Download it! Have fun! ps: if your are having a problem with iMimic, let us know what is happening. How to Delete Apps? And how to reposition your icons in the iPhone? iMimic 1.32 is Full Retina! MacMagazine.com.br gives iMimic an excellent review!